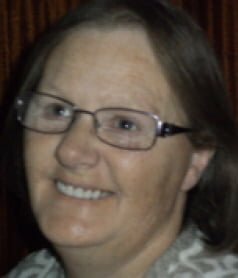 Maison Funéraire Leblanc would like to announce the passing of Mrs. Coreen Chenell on april 8, 2019 at the age of 54 years. She lived in Entry Island, Iles-de-la-Madeleine. She was the daughter of Mr. Lionel Chenell and Mrs. Bessie Clark and the mother of Sheldon (Donna ), Josh (Sarra) . She had a Granddaughter Brooklyn. She was the sister of Della (Vernon) , Patsy (Dan), Wanita (Alain) and the brother Dirk (Diane) . She also leaves to mourn many nieces and nephews, relatives and friends. The family will receive condolences Friday april 12, 2019 from 11 am to 3 p.m. at the Funeral home in Cap-aux-Meules to 720 principal .The religious service will be held on monday 15, 2019 at 1 p.m., at All Saints Church (Entry Island).